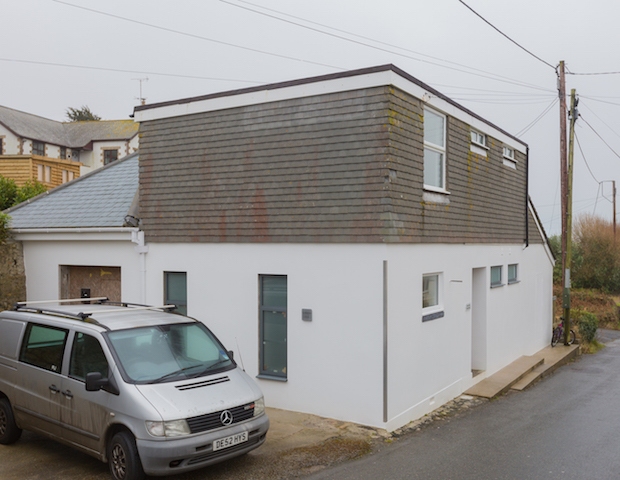 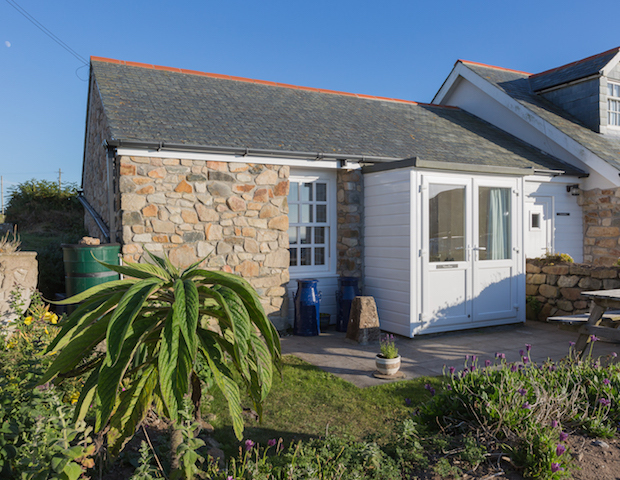 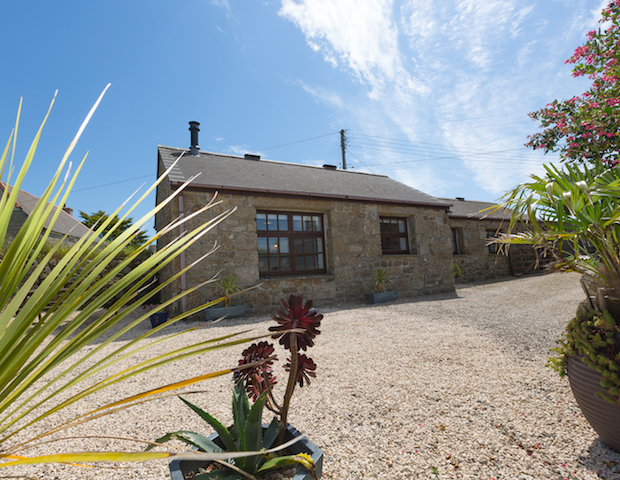 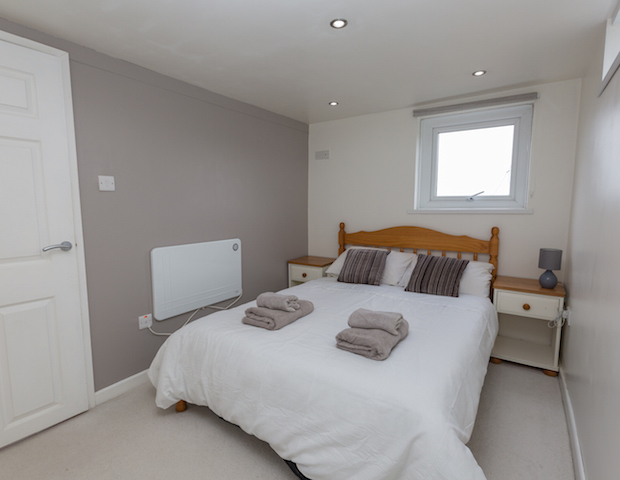 The Studio, Porthcurno provides a fantastic location for an escape to West Cornwall. 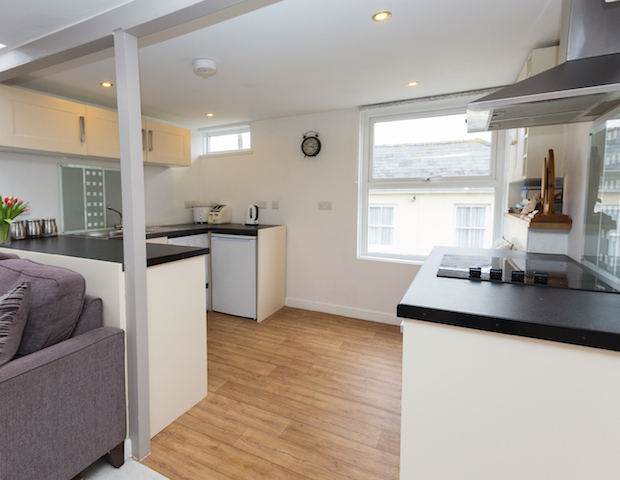 Located just a few minutes walk from the stunning beach at Porthcurno, the apartment is modern and bright and a perfect base for a holiday for two. 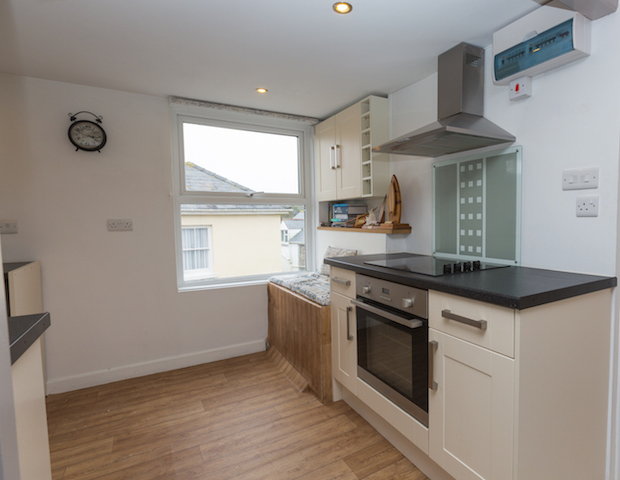 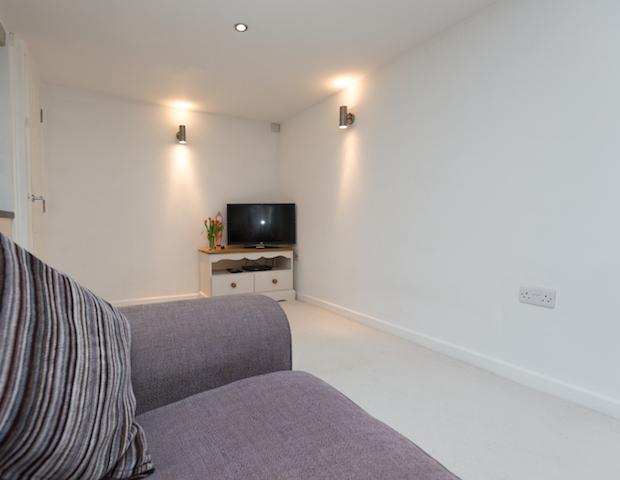 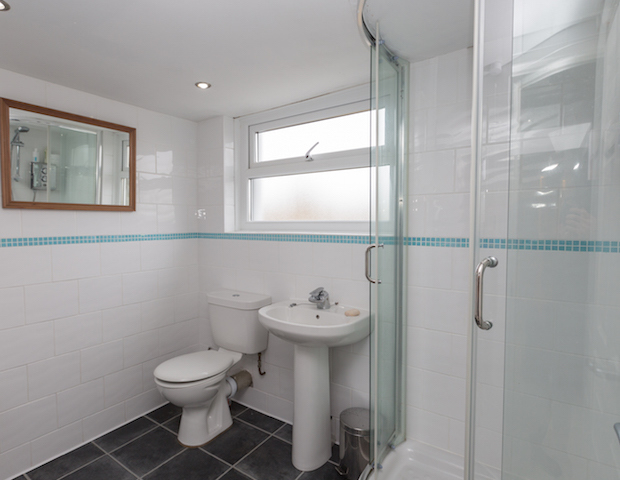 Recently refurbished, The Studio has a double bedroom and large bathroom with walk in shower. 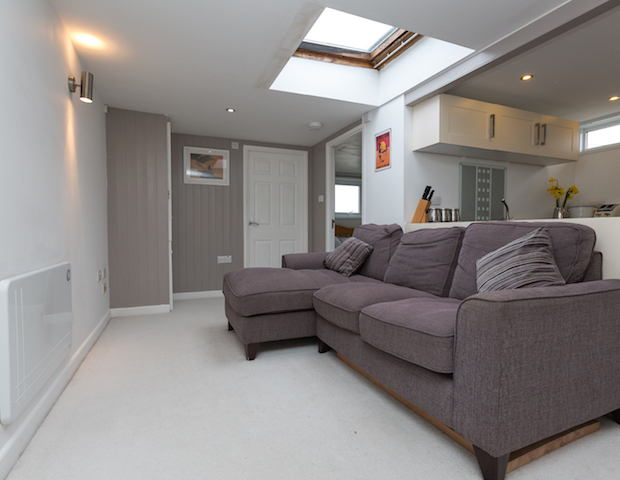 The open plan style kitchen and living room is spacious and the skylight means laying back on the large sofa and watching the clouds float by is a great way to relax after a day exploring or surfing. 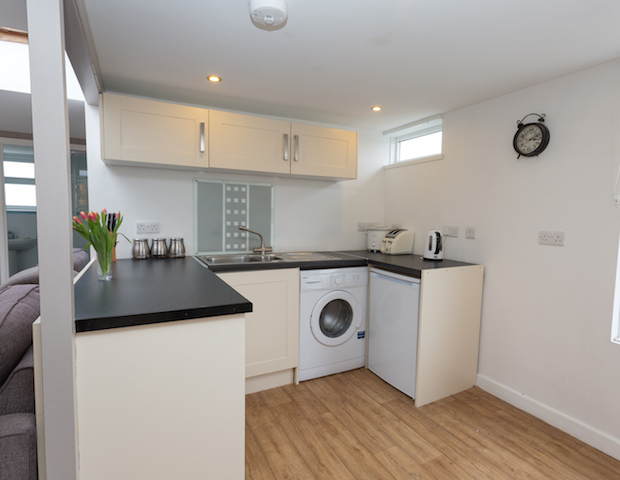 The kitchen is well equipped with cooker, hob, fridge with small freezer compartment and a washing machine. 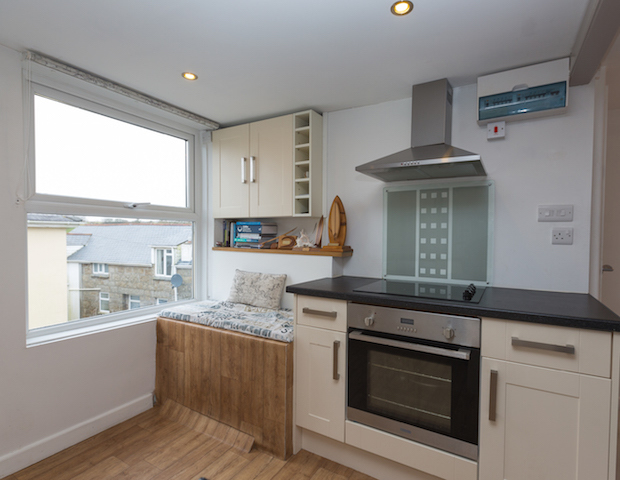 There is also a handy window seat for watching the world go by below with the morning coffee and papers. 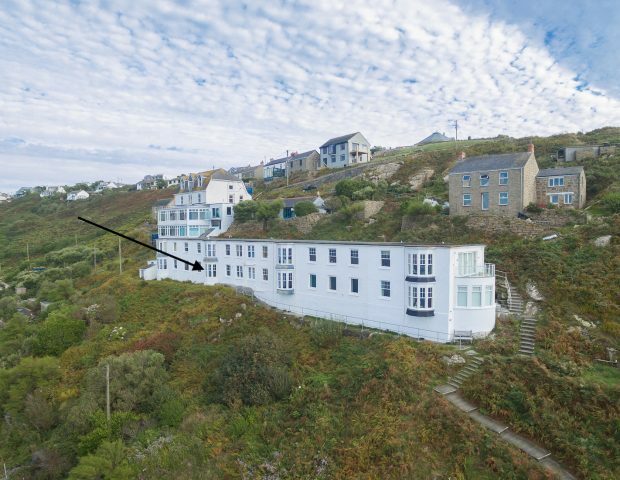 There is parking for one car on the road just down from the front door. 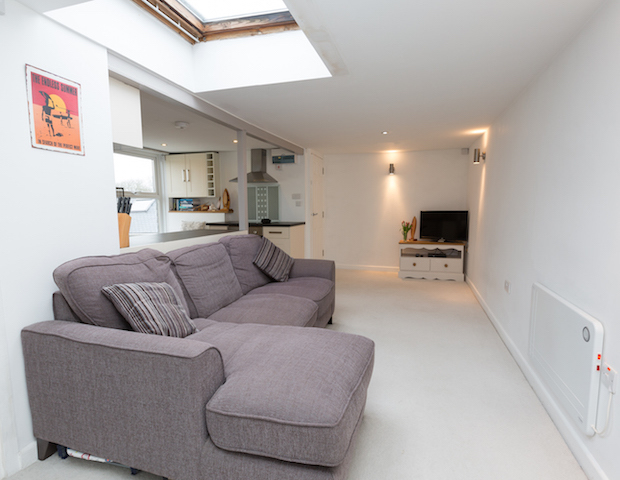 The first floor apartment is accessed up a stairway from the front door, so go steady, and there is some space under the stairway to store beach things etc. 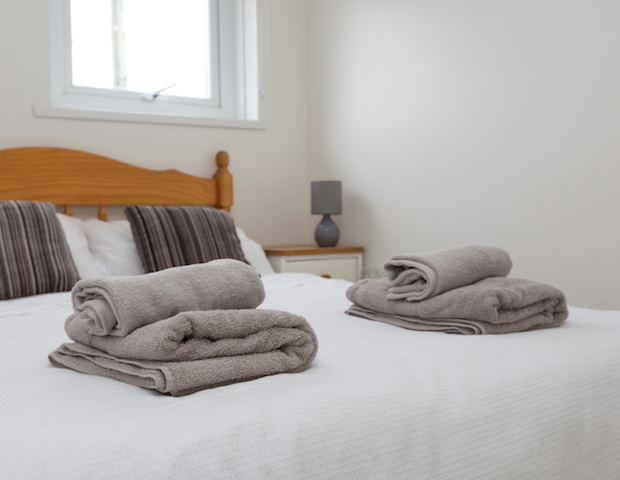 All bed linen and towels will be provided for you.